If your little ones are anything like mine, they don’t like to sit still one second! I have found this especially true with little Mister aka Energiser Bunny. We have been trialling different programs since last year in an effort to keep him busy and active and stumbled upon Aussie Gems at Frenchs Forest. 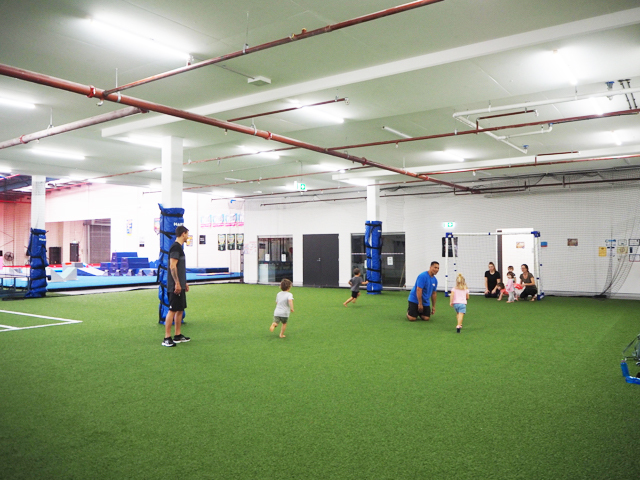 I had heard great feedback about the preschooler program from a school mum and attended my daughter’s friend birthday party there recently so we thought we’d checkout their Little Gems Preschooler Multi-sport Program and share our experience with our readers. 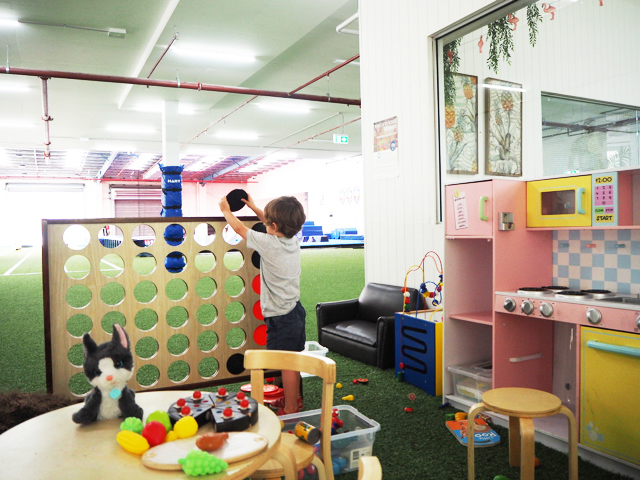 Little Gems at Aussie Gems is a fun, high-energy movement and motor skill development program for preschoolers designed to help children cultivate their gross motor, visual motor and social skills in a non-competitive environment. Kids will learn the basics from a variety of sports and have lots of fun doing it! The class we attended, started with a little running game to warm things up. Little Mister took a little of time to warm up but after a few goes and some convincing that there would be a trampoline activity, he was happy to run around and follow the instructors in the one hour session and bond with new friends. After a bit of running around, kids were invited to do a series of jumps on the trampoline, go through obstacles, pick up a sand bag and run back and repeat. Then do some rope climbing and hold onto the frame for as long as they could. The children continued with some wall climbing, tumbling exercises and finished off with a cool Ninja Course! Little Mister was very happy with the program, loved the instructors and thought they were funny and when I asked him if he wanted to come back to Aussie Gems, he said ‘Yes Please’. 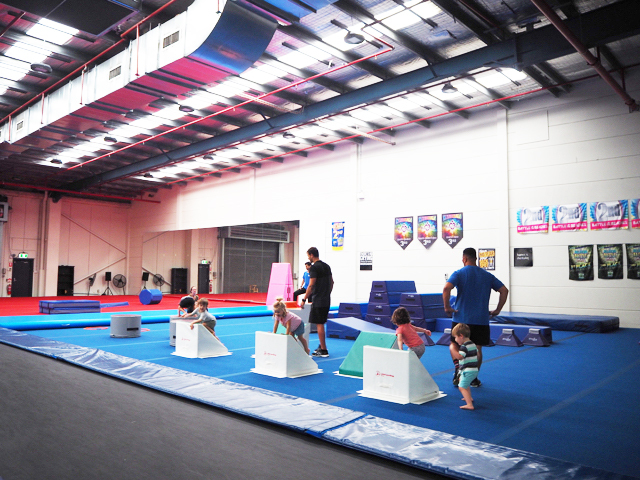 Aussie Gems also run a Cheerleading Academy and Fitness Academy and School Holiday Programs. They also run Birthday Parties on Friday afternoons, Saturdays and Sunday which are very popular and lots of fun. The parties include 2 hours of non-stop fun with 2 party coaches for up to 17 children and exclusive use of the birthday party room. When I attended the birthday party, the centre used paper plates and cups, paper table clothes and provided freshly cut fruit, popcorn and crisps to the children. Parents brought their own cupcakes and lolly bags to celebrate. More info via their website. A 45 minutes Preschooler Craft Sessions for 2-6 year olds is also available twice a week Wednesday & Friday at 10:30 am and 11:30 am. Little Mister made and played with slime after his preschooler program before we had a snack and a drink and relaxed by the centre’s café’s little play area. The centre’s Hukilau Café is fully equipped and the chef onsite organises platters for classes or weekend birthday parties. Parents and carers can sit by the café’s glass windows and watch their little ones take the class while they relax and enjoy a coffee. 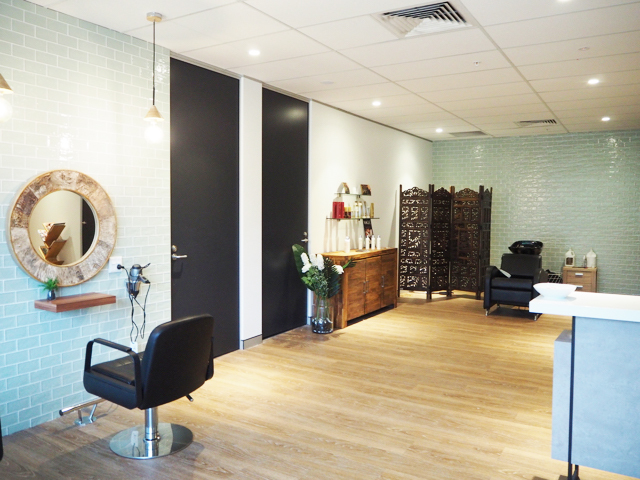 Mums - Let the kids do their Aussie Gems sports activity, while you treat yourself at the Union Jacks Hair Professionals hairdresser upstairs. As a mum herself, Julia understands that as mums we don’t always have a chance to sit down and relax and have our hair done. She comes with over 25 years industry experience and can provide 1 on 1 personal care by appointment only Tuesdays, Thursdays, Fridays & Saturdays. Products she uses include Joico Hair, Evy Organic Karitin, Olaplex and Wella. Complimentary barista style beverage from the centre’s Hukilau Café as well as onsite massage chair. Julia’s Facebook page can be found here along with great customer reviews. 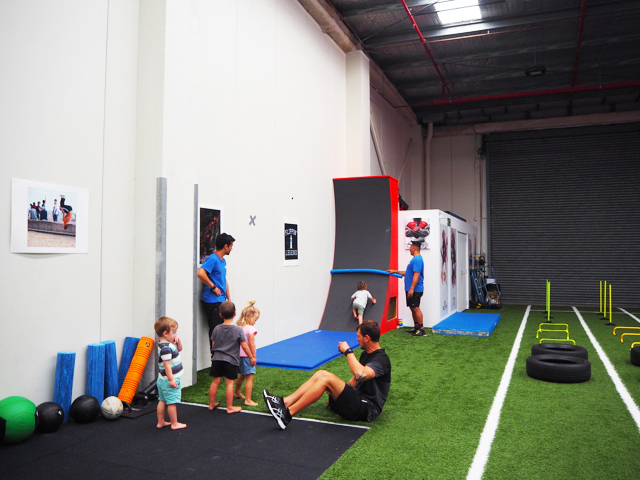 Dads - Dads can also treat themselves while the kids do their Aussie Gems sports activity. Obi at Look Sharp Barber, will look after you with over 10 years experience. Enjoy $20 cuts for the month of March, kids can get their hair cut too. Walk inns welcome. There you have it, Aussie Gems is a great hub of services for children and their parents/carers - what a fun place to hang out! Preschooler Programs run during school terms Mondays to Saturdays for specific ages at specific days & times. Each session includes multisport, fruit break and 15 min focus activity which changes daily. Become a member or attend casually or buy a pack of 10 classes or attend unlimited classes per week. Checkout their website for more information on their Cheerleading Academy, Fitness Academy, School Holiday Programs and Birthday Parties. There is ample parking at the front of the building. There is also a baby change room, comfy chairs for breastfeeding, toilets, water bubbler, a/c and a kids play corner. For more information on Aussie Gems, head to their website. Busy City Kids were hosted by Aussie Gems for the purposes of a review. All opinions & feedback are genuine & truthful.